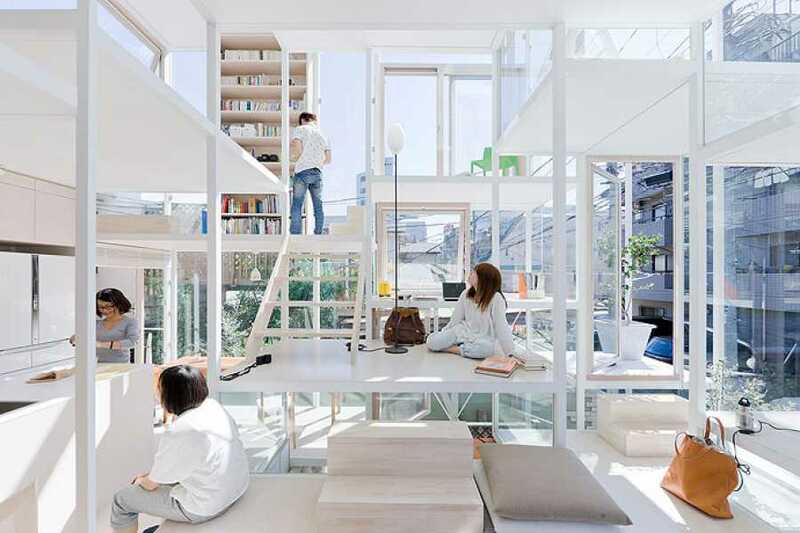 Situated in a residential area of Tokyo, this 3-storeyed house answers at the request of his(her) owners: " live at home in nomads ". The building consists of several steel frames, imbricated between them at various levels to create a living space of a single volume. Only doors and windows are integrated into wooden frames, the other glazed surfaces were gone(taken) up without frame on the steel skeletons. 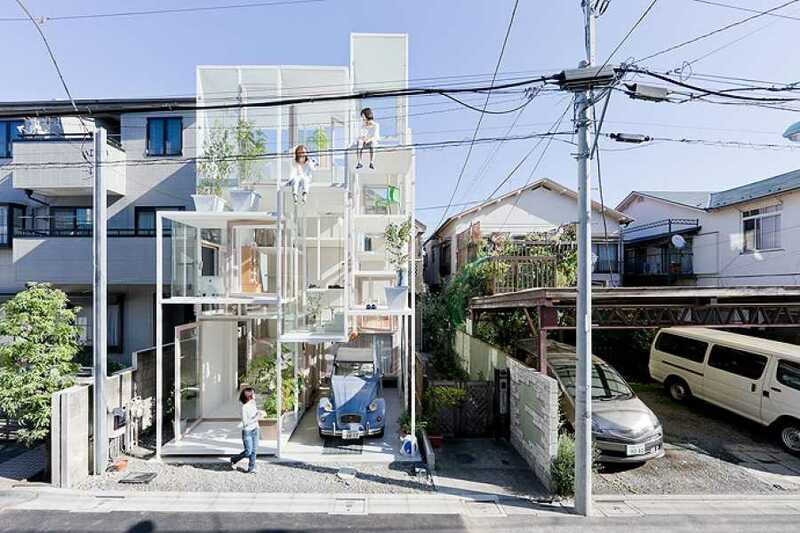 Behind the structure, "facades" are opaque and shelter the equipments of air conditioning, ventilation, heating.